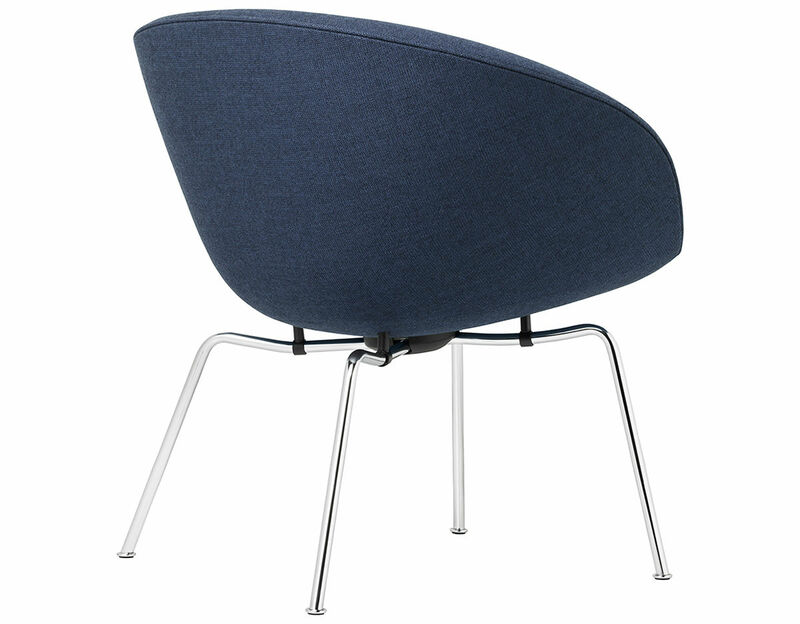 In 1959 Arne Jacobsen created Gryden - in English meaning the Pot - a light take on an embracive lounge chair and originally designed for the SAS Royal Hotel in Copenhagen. 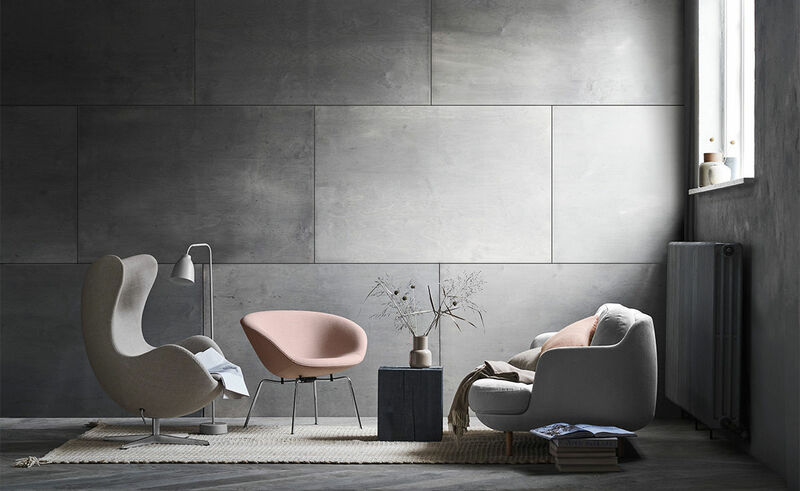 With the relaunch of the Pot, Fritz Hansen aims to revitalize another Arne Jacobsen signature sculpture for the modern interior. One that works as beautifully standing alone in a home lounge setting as it does arranged in pairs in a welcoming cocktail bar or the informal meeting room. 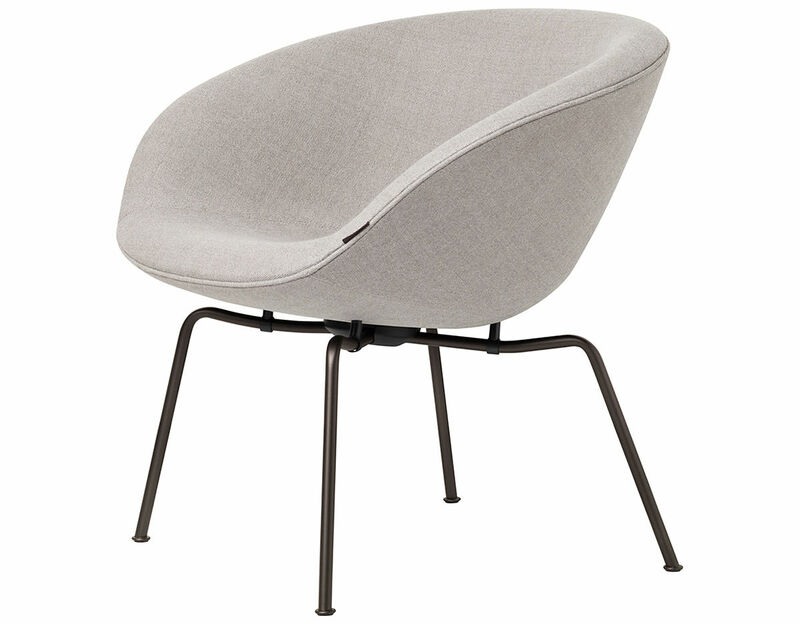 The shape is the same as the original design from 1959 - the seat and materials have been improved to meet today's standards for comfort and durability. 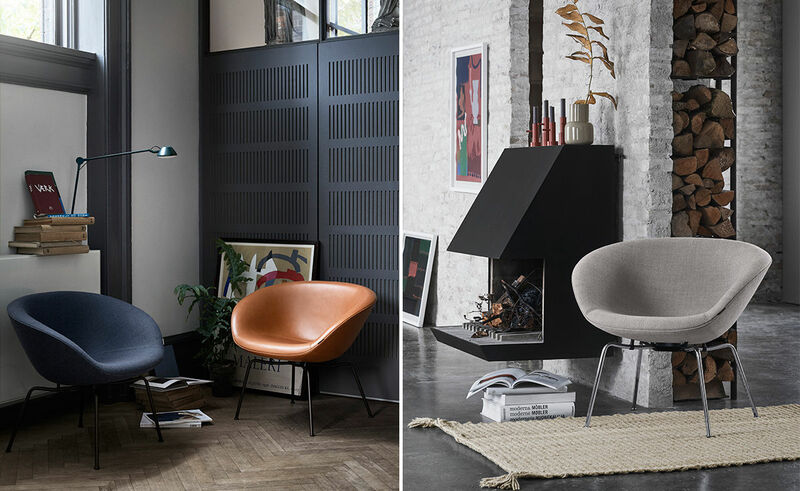 The Pot comes in an endless variety of fabrics and leathers. 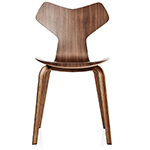 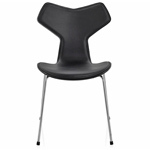 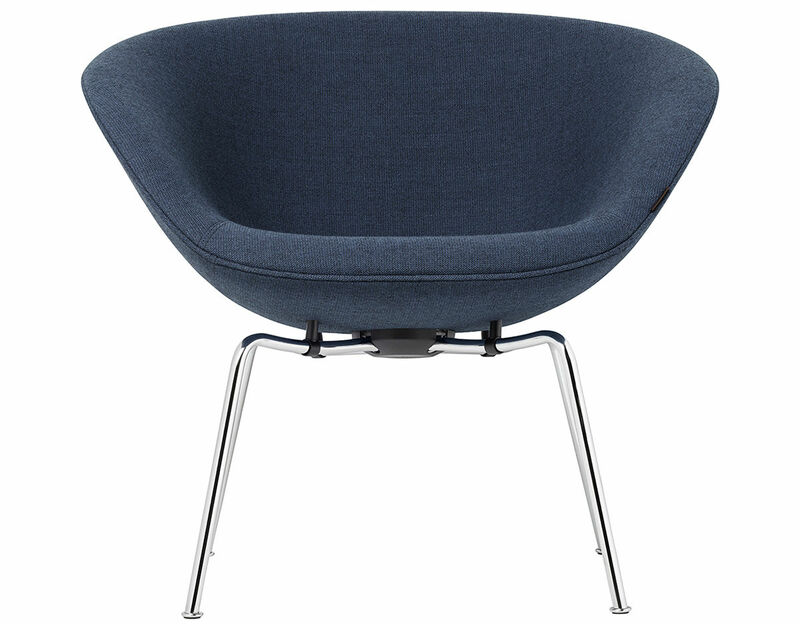 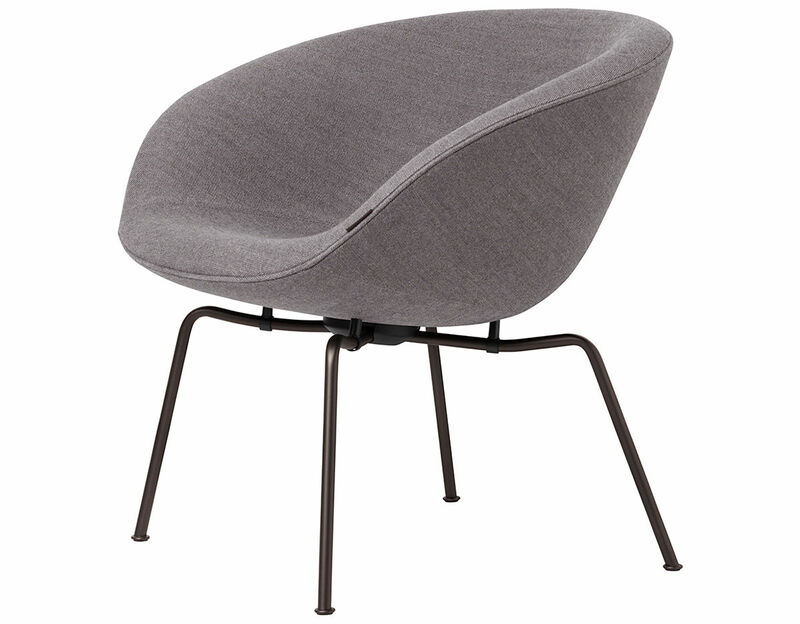 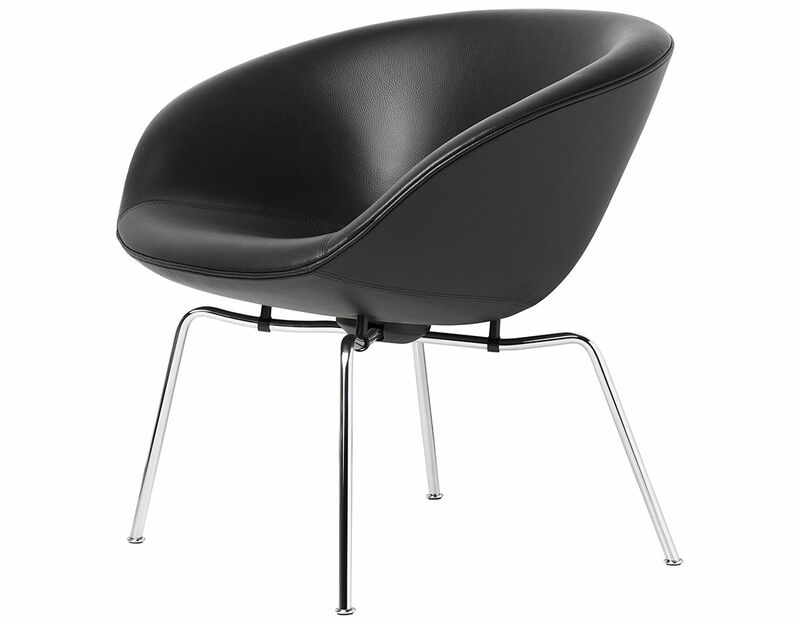 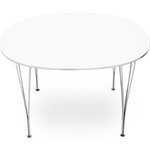 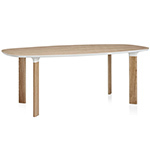 It is small yet embracive, it is modern yet timeless and it is an Arne Jacobsen original. 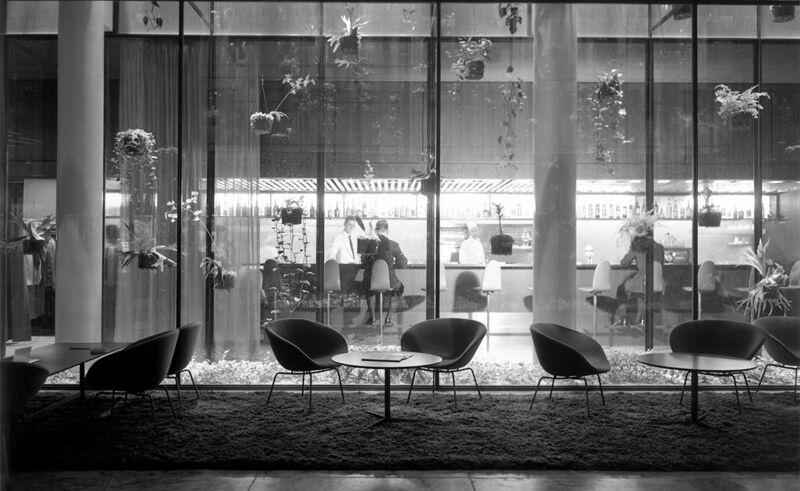 Originally the Pot decorated both the SAS Royal Hotel's sophisticated Orchid bar and the astonishing winter garden. 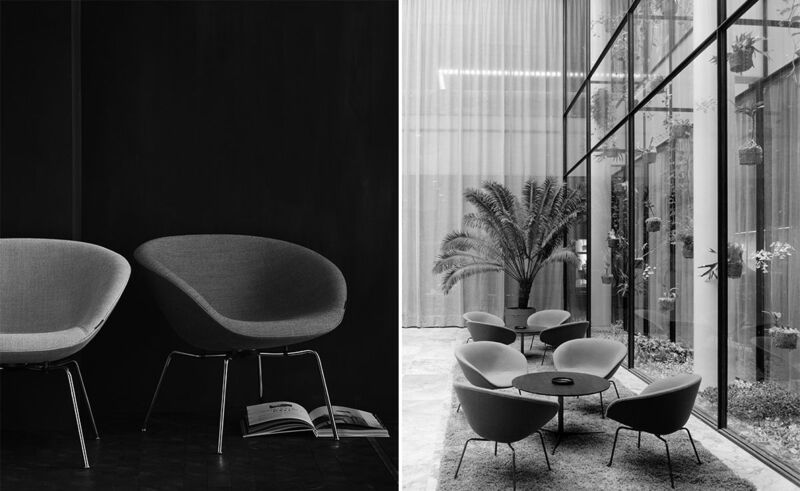 The chair too was found on every floor in the hotel across from the elevators, greeting guests with a recognizable meeting point. 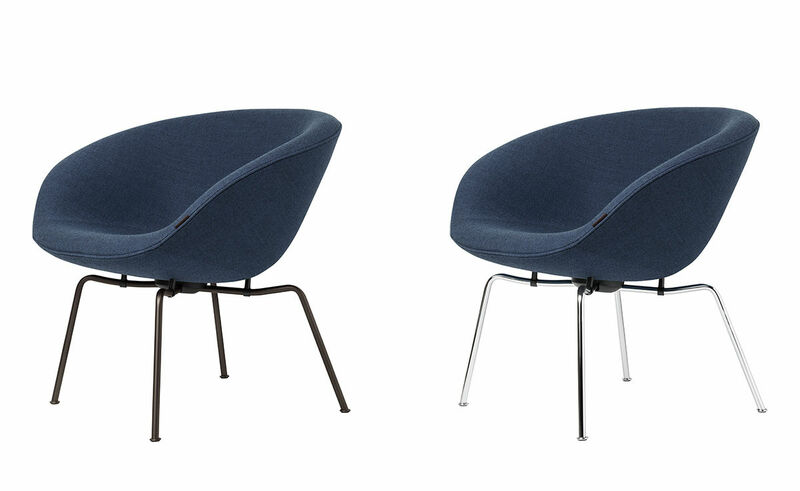 Needless to say, the Pot chair inhabited the hotel as much as its design icon siblings, the Egg and the Swan. 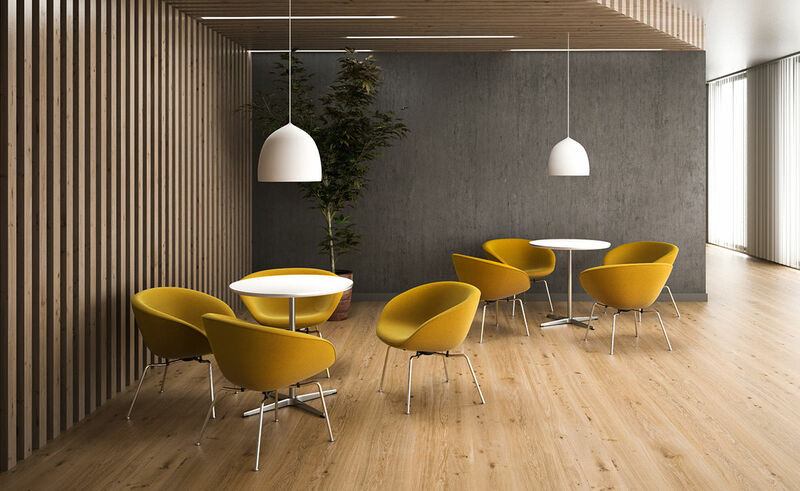 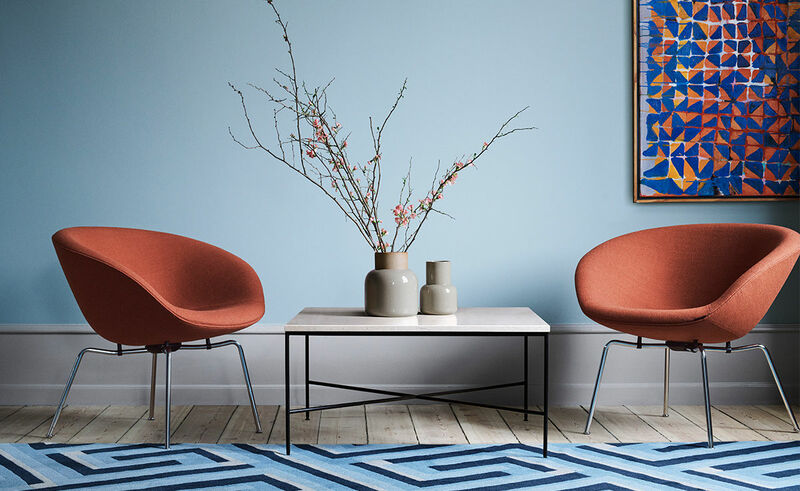 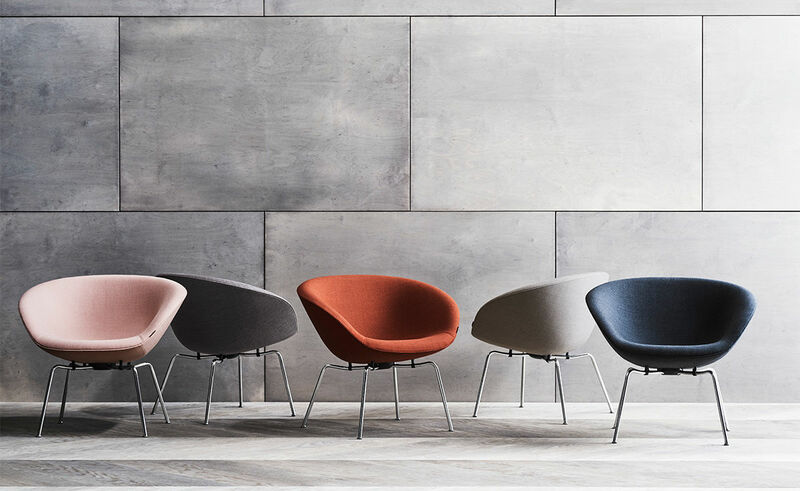 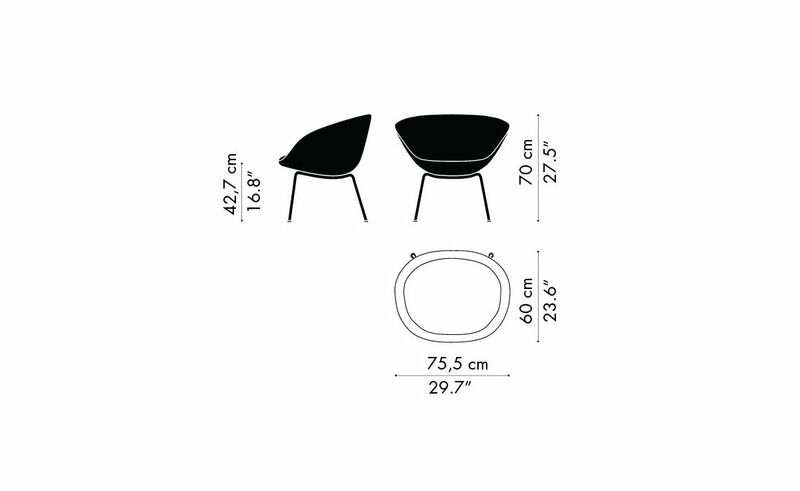 The relaunched Pot chair is suitable for both private and contract use based on its renewed durability and timeless quality, both characteristics of the Fritz Hansen way of manufacturing and the Arne Jacobsen way of designing. 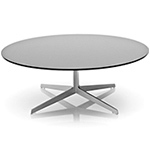 $1,973.00 + free shipping in the continental U.S.